Whether you enter a dispensary or browse the web in search for the next awesome bud for either recreational or medicinal purposes, you are inevitably faced with two popular categories, namely Sativa and Indica. 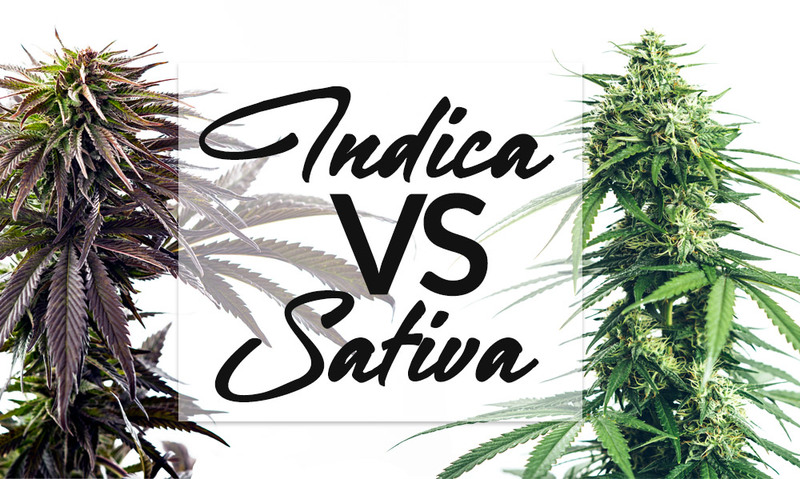 In this article, we will look into Sativa VS Indica to find out everything you need to know about the two cannabis strains. What are the health benefits of Sativa vs. Indica strains? What are their most common effects – both positive, as well as negative? Is there a difference in the physical appearance of Sativa vs. Indica strains? Those are only a few of the questions we’re about to answer below! Nevertheless, we will also dig deeper into understanding a mix between Sativa and Indica varieties that are broadly known as hybrids . At the very start, it is truly essential to understand that picking a suitable marijuana strain is a deeply intimate, highly personal matter of choice. With the rise of marijuana legalization globally, researchers are already starting to look into discovering the benefits and qualities of the different marijuana strains that are still left behind in the shadows of public awareness. Although there are certainly some major differences between Sativa and Indica cannabis varieties, experts are eagerly promoting the need to embrace a deeper understanding of what causes the miraculous qualities of the different strains out there. 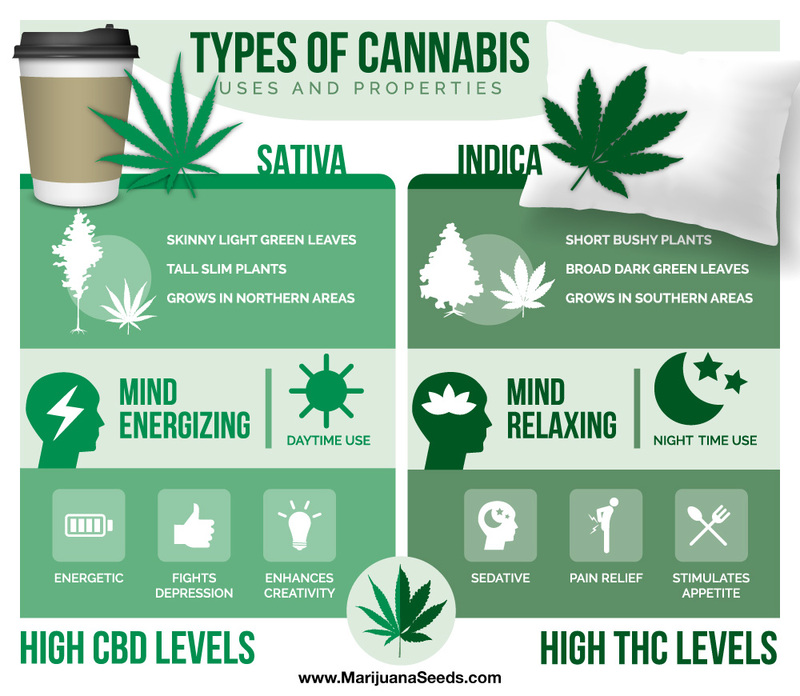 So, are you more of a Sativa or more of an Indica person? Why do some Sativa buds tend to act much more like Indicas than Sativas? It is high time that we bust some myths and get you into the new century of marijuana legalization! Fasten your seatbelts and join us on our journey to find out everything you need to know (and even more!). It wasn’t before the 18th century that the terms “Sativa” and “Indica” were first introduced. Just a few centuries later, Sativa and Indica have become the most mainstream terms of referring to the two major varieties of marijuana plants known up-to-date. On the one hand, the term Sativa was coined by Carolus Linnaeus. It was first used to describe the types of hemp plants that are native to Western Eurasia and Europe. Sativa plants bred in these particular geographical regions were cultivated for their seeds and fiber. On the other hand, the term Indica was coined by Jean-Baptiste Lamarck. It was first used to describe the types of marijuana plants discovered in India. The cannabis varieties grown in India were also cultivated for their seeds and fiber, similarly to the Sativa varieties found in Western Eurasia and Europe. They were also cultivated for hashish production, and hence, the psychoactive effects upon consumption were well-known, too. It is important to keep in mind that the terms for Sativa and Indica plants named by Carl Linnaeus and Jean-Baptiste Lamarck are merely the earliest botanical definitions of the cannabis varieties discovered in the 18th century. But throughout the course of history, these terms have shifted significantly. However, we will get to that point further in this article by digging deeper into revealing the secrets of cannabinoids and terpenes. Nowadays, Sativa is broadly used to refer to cannabis varieties that are believed to induce invigorating effects on both the mind, as well as the body. Meanwhile, Indica is used to refer to cannabis varieties that are thought to induce highly relaxing, sedating effects on a mental and physical level. There are several differences in the physical appearance and the growth patterns of Sativa VS Indica varieties. As a rule of thumb, Sativa plants grow taller than Indica plants. As a comparison, Indica plants typically reach up to 4 feet in height while Sativa varieties can easily reach up to the whopping 20+ feet in height. Growing tall, lanky and long, beginner marijuana growers can have a hard time trying to “tame” Sativa varieties in order to grow more crops. Sativa varieties grow well when exposed to sufficient sunlight and warmth. They cannot tolerate cooler temperatures very well. Stemming from regions close to the equator, Sativas thrive when introduced to short and consistent photoperiods, with no abrupt fluctuations in temperature. Then again, keeping in mind the massive size Sativa plants can reach, they can prove to be difficult to cultivate indoors. Outdoor growing methods work best provided the climate is also suitable to ensure an average of 6 months of uninterrupted summer. However, greenhouse operations can also work great when it comes to Sativa varieties. Nevertheless, the flowering stage of Sativa plants is rather longer than that of Indica plants and generally varies from 10-12 weeks. Leaves of Sativa plants are best described as narrow while the leaves of Indica plants are best described as broad. Indica plants grow rather shorter than Sativa varieties. They are also commonly described as both bushier and flatter than their Sativa counterparts. Despite the short size of Indica varieties, the expected yield of Indica plants is much higher than the expected yield of Sativa varieties. Altogether with the short flowering stage, Indicas are often the preferred choice for domestic cultivation. Typically, the average flowering phase of Indica varieties is about 8 weeks. Indica plants can grow well both indoors, as well as outdoors. That makes them suitable to grow when introduced to regions where the summer lasts for about 1-3 months. They can tolerate cooler temperatures, too. However, when it comes to heat toleration, Indica plants prove to be much more prone to heat issues than Sativas. The rise of crossbreeding has paved the path to the production of numerous different Sativa and Indica strains that exhibit only the most favored qualities. For instance, modern-day Sativa varieties can have a shorter flowering stage, and they can also be able to produce sufficient yields. On another note, autoflowering Indica varieties are currently known to possess some of the shortest flowering stages ever – a stunning 4 weeks. First off, let’s check out the effects that are most commonly associated with Sativa strains. Keeping in mind the effects we just listed above, Sativa varieties are believed to work best when it comes to several mental and physical issues that consumers may want to address. It is important to highlight the fact that any given marijuana strain can prove to work in a stunningly different way when consumed by two different individuals. A certain Sativa strain that helps to fight away stress with patient A might turn out to actually increase the level of stress with patient B. 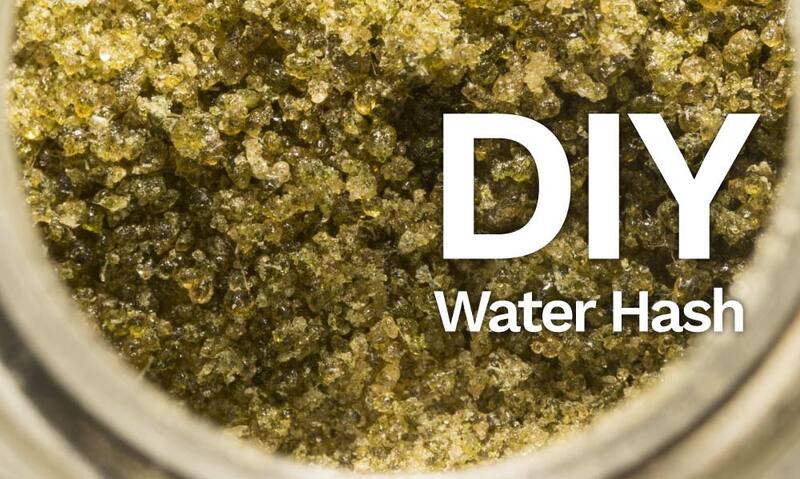 Marijuana treatment is a highly personal and strictly intimate process. Relying solely on the most common effects attributed to either Indica or Sativa strains is not the best way to discovering the most effective cannabis varieties based on your personal level of experience. Instead, it takes some time, patience – trials and errors – before one can find the type of marijuana strains that work best for him/her. Last but not least, certain marijuana strains can actually work great during particular periods of your life. While later on, the same strains may fail to deliver the benefits you are looking for at another point in your life journey. Amazingly, the effect of each strain can vary even on a day-to-day basis since your current emotional and physical state have a very high influence on the experienced effects after consumption. Finally, you shouldn’t underestimate the fact that the surrounding environment also affects the way you experience a particular marijuana strain. For instance, if you are surrounded by people who make you feel out-of-ease, the effect you can experience from a certain strain can feel absolutely different when compared to consuming the same strain alone. In fact, even the type of activity you are involved in can alternate the effects of consuming an Indica vs. a Sativa strain. That’s why Sativa strains are widely labeled as suitable for daytime use while Indica strains are considered better-suited for evening use. Although Jack Herer falls into the category of Sativa strains, it is actually a Sativa-dominant hybrid. This multi-award winning strain featuring a 55% Sativa dominance is named after one of the trailblazers of marijuana legalization – Mr. Jack Herer. Boasting with THC levels that average from 15% to the whopping 24%, Jack Herer has become extremely popular for leaving users in a state of pure happiness. The effect of consuming Jack Herer is noted for being sensationally relaxing while simultaneously euphoric. The buzz is equally transmuted from head to toe and while it starts with stimulating focus and awareness, it gradually turns into a blissfully relaxing mind-and-body grip. Suitable for both daytime and nighttime use, Jack Herer is praised for its gentle comedown that doesn’t feel heavy to the point of sedation. Labeled as one of the strongest strains available on the market, Durban Poison is a pure Sativa strain that carries extreme potency of the mind-blowing 24% THC levels. Undoubtedly, Durban Poison comes with the exact effect one can be looking for in any Sativa variety, and that’s the massive flow of energy. In fact, consumers often compare the effect of Durban Poison to drinking several shots of espresso at once. The type of high with Durban Poison hits with a wave of happiness that is best felt in the head area. Thus, this strain is often referred to as a suitable remedy for migraine sufferers. Amnesia Haze has turned into one of the most famous strains of all time, and that’s for some good reasons. Generally described as unsuitable for newbie marijuana users, Amnesia Haze boasts a towering THC content of about 27%. It is a 70% Sativa-dominant hybrid, with effects that take place (almost) immediately after consumption. Praised for its mood-uplifting, highly energizing, euphoria-invoking properties, Amnesia Haze is usually preferred for daytime use but it can be also suitable to use late at night when high doses of energy are needed. To start with, here are the most common effects associated with consuming Indica strains. In a nutshell, it would be fair to compare the most common effects attributed to Indica strains as similar to the effect you can experience after taking a sleeping pill. However, the health benefits of Indica strains are not solely limited to alleviating sleep disorders. As the effects of marijuana consumption evolve gradually, the first onset of the high with Indica strains is best to be described as a feeling of sublime relaxation. With this in mind, let’s check out some of the medicinal properties attributed to Indica strains. These strains are often landrace strains, carrying the full potency of their Indica or Sativa genetic inheritance. It is often the case that pure Indica and pure Sativa strains are used when it comes to crossbreeding new, highly potent strains. Originally bred by Californian connoisseurs, Girl Scout Cookies is the type of strain that has gradually turned into one of the most popular marijuana varieties globally. The stunning levels of THC have reached well above 28% in some lab tests. Girl Scout Cookies is also one of the best strains when it comes to a number of medicinal conditions. These include but are not limited to severe pain relief, insomnia, and nausea. Girl Scout Cookies features a 60% Indica dominance. Keeping in mind the ultimately relaxing effects of this strain, it is most suitable to use in the evenings or during hours of the day when no focus is required in order to go about with your personal schedule. It would be only fair to call Northern Lights one of the most popular Indica strains of all times. That’s not only because of the multiple awards this strain has won in the Indica categories over the years but also because of its genetic inheritance averages at 95% Indica. In fact, Northern Lights is also often labeled as a pure Indica strain, and that’s a well-deserved title. One of the best strains to alleviate insomnia and fight off depression, the high with Northern Lights is described as blissfully lazy and long-lasting. Afghani strain originated from the high altitude Hindu Kush mountains of Afghanistan. This is a pure Indica strain that lives up true to the effects one might be looking for in Indica varieties. To illustrate this better, users describe Afghani’s grip on the mind and the body as deeply relaxing, inevitably leading to a point of sedation. A highly valued strain for crushing away stress, insomnia and chronic pain, the THC content of 20% should not be underestimated with this potent Indica. Sativa + Indica = Cannabis Hybrids! Certainly, we cannot possibly discuss the differences between Sativa and Indica strains without mentioning hybrids. Nowadays, hybrids are the most beloved marijuana strains out there. Some of the most well-balanced hybrids that have achieved tremendous popularity include White Widow, OG Kush, and Bruce Banner, to name a few. A growing number of patients and connoisseurs of the green medication prefer the soft blend of effects attributed to hybrid strains that combine the best of the traits of Indica and Sativa strains. In short, hybrid strains are the result of crossbreeding different marijuana varieties with different level of sativa and indica genetics. For example, the “father” marijuana plant might be an Indica strain while the “mother” marijuana plant might be a Sativa strain. However, it is also possible to crossbreed two Indica strains and still end up with only an Indica-dominant strain as opposed to a pure Indica strain. The same goes for combining two Sativa strains. It is fully possible for an Indica-dominant strain to exhibit an array of effects that are much similar to the effects attributed to Sativa strains (and vice versa). But how is that even possible?! According to experts, the future of decoding the most common effects of the different marijuana strains cannot be possibly sheltered under the terms Indica and Sativa. Instead, further research is needed to cast more light on two extremely important factors related to understanding precisely the effects of the so-called Indica vs. Sativa strains. As we already mentioned at the very beginning of this article, it is high time that we bust some myths, and the right way to do so is by looking closer into cannabinoids and terpenes. Okay, so let’s first dig deeper into some little-known facts about the true origin of marijuana strains. Technically, the original term for Cannabis Sativa is used to describe the non-intoxicating, industrial varieties of hemp. These particular varieties are not cultivated for their mind-and-body effects and properties because the THC levels found in Cannabis Sativa hemp plants are actually too low to induce a psychoactive effect upon consumption. Instead, they are grown for the potent levels of CBD (the non-psychoactive compound found in a different ratio in different marijuana varieties), and for fiber, and seeds. Then again, technically speaking, what we still broadly refer to as Sativa strains is actually the type of cannabis plants known under the scientific term Cannabis indica ssp. Indica. Meanwhile, Indica strains are originally named with the scientific term Cannabis indica ssp. Afghanica. Wow, with all of that being said, things start to sound, look, and feel extremely confusing, right? However, as it often happens with just about any aspect of life, things are actually much simpler once we get to develop a deeper, better understanding. 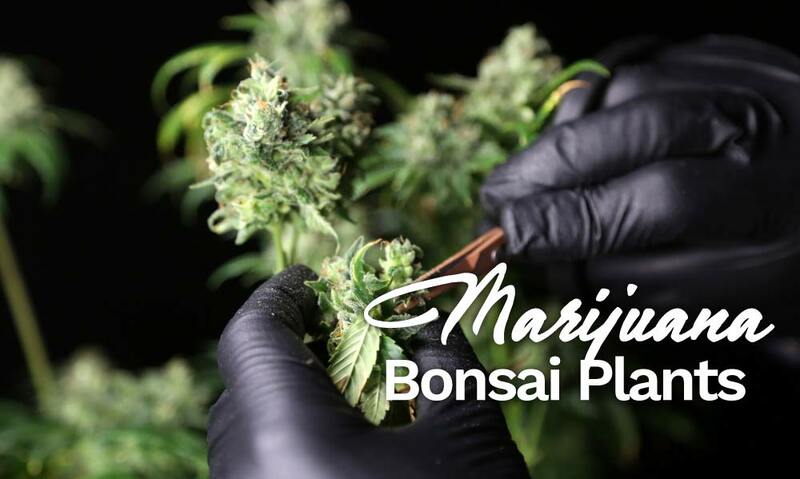 While it is sure convenient and nice to stay in our comfort zones and keep referring to marijuana strains as simply Sativa and Indica, it’s truly important to keep track of what’s really going on in the world of cannabis cultivation and examination. Ethan Russo who is a neurologist and cannabis research took part in a special interview series conducted by Leafly’s team of professionals. “The way that the sativa and indica labels are utilized in commerce is nonsense. The clinical effects of the cannabis chemovar have nothing to do with whether the plant is tall and sparse vs. short and bushy, or whether the leaflets are narrow or broad,” Ethan Russo shared for Leafly. Video by Leafly – Cannabis 101: What’s the difference between Indica, Sativa & Hybrid? However, the secret ingredient for Leafly’s success is actually the numerous personal opinions and comments by other users shared on the platform. 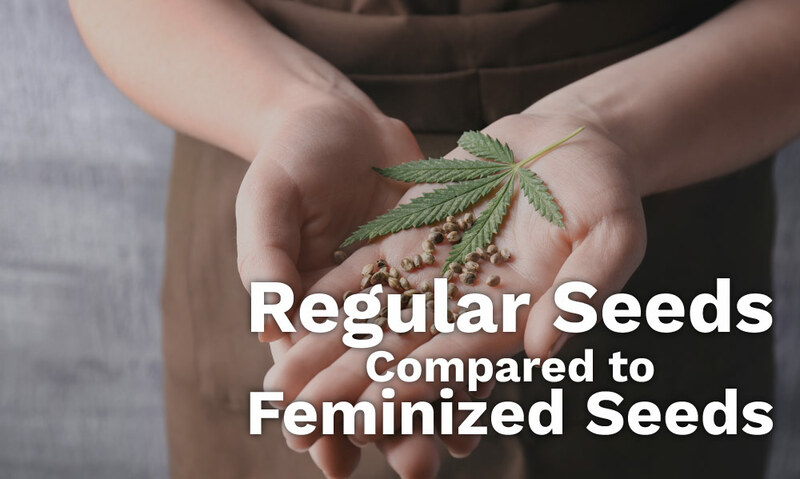 With this in mind, it is effortless to spot that many consumers highlight the fact a particular Sativa-dominant strain “acts much more like an Indica” and vice versa. In a nutshell, we might keep using the well-known terms for Sativa and Indica strains for an undefined period of time in the future. But for those who want to be aware of the truth about the miraculous properties of the green medication, it is only fair to refer to Sativa strains as Sativa-like, and to the so-called Indica strains as Indica-like. Video by Puff Digital – Indica vs Sativa? Does it even matter? And sometime in the bright future, whenever we need to receive helpful, truly personal-tailored information about a particular strain, we are bound to start utilizing the terms cannabinoids and terpenes as frequently as we do nowadays use the terms for Sativa and Indica strains. Above all, the effect produced by different cannabis stains is closely and intricately related to the existence of hundreds of chemical compounds that make up for the full and unique profile of each strain. All mammals possess the endocannabinoid system. It is none other but cannabinoids that act on the cannabinoid receptors of the cells (the ones related to the endocannabinoid system) in order to alter neurotransmitter release. Although the neurotransmitter release happens in the brain, the effect can end up all over the different parts of the body, and that’s why it is called psychoactive. The most famous cannabinoids up-to-date are THC (Tetrahydrocannabinol), CBD (Cannabidiol). However, these cannabinoids are the most popular ones because of the fact these are the type of cannabinoids that have been most well-researched up-to-date. But the truth is, science is yet about to reveal much more about the still less well-known cannabinoids such as CBG (Cannabigerol) and CBN (Cannabinol), CBC (Cannabichromene), and CBDV(Cannabidivarin) among others. When choosing a suitable marijuana strain, it is highly recommendable that you look at the THC and CBD content in order to pick the best working marijuana variety for your unique needs and preferences. Being solely focused on the categories for Sativa strains vs. Indica strains may not prove to be the best way to choose a suitable bud. Most noteworthy, both THC and CBD are present in Sativa and Indica varieties. However, it is actually the percentage ratio of these mighty cannabinoids – THC: CBD – that highly influences the initial effects after consuming a particular marijuana strain. For instance, patients who seek reliable relief from severe pains, depression, and/or insomnia may need to opt for strains with a higher level of THC. On the other hand, patients who find high levels of THC to be counterproductive for their particular condition or prudence to marijuana treatment need to opt for well-balanced strains that contain high levels of CBD and avoid towering levels of THC. Video by AsapScience – THC vs CBD: What’s In Your Weed? Also referred to as “terps,” the terpenes are the chemical compounds that give each marijuana strain a one-of-a-kind, distinct flavor in terms of both taste and aroma. Amazingly, the terpenoid production is related to the natural ways cannabis plants have developed over time in order to attract pollinators but also in order to keep intruders away. That’s what we call a double win-win! Interestingly, terpenes are produced by many other plants and fruits, such as lavender, pepper, citrus fruits, pine trees, and that’s just to name a few. As a matter of fact, there are over 20 000 existing terpenes, and about 100 different terps are produced by cannabis plants. The powerful health benefits of terpenes have been also widely used in aromatherapy for centuries. Understanding better the different terpenes found in the different cannabis strains might be the key to gaining a much more profound and holistic understanding of the way marijuana strains actually work in order to induce particular effects. Video by SC Laboratories – What are Terpenes? Let’s take a brief walk into the world of cannabis terpenes listed below. Pinene has anti-inflammatory properties and helps to promote alertness. It is also found in pine needles and basil, among others. This is the terpene that gives some cannabis strains those particularly piney-like undertones. Limonene can relieve stress and enhance your good mood. It has high anti-bacterial properties and is also found in citrus fruits. This is the terpene that gives off distinctly citrus undertones upon inhaling and/or exhaling the smoke from a particular bud. Myrcene has sedative properties with a distinct effect on relaxing the muscles. It is the most commonly found terpene in cannabis plants but is also present in thyme, lemongrass, and mangoes, to name a few. 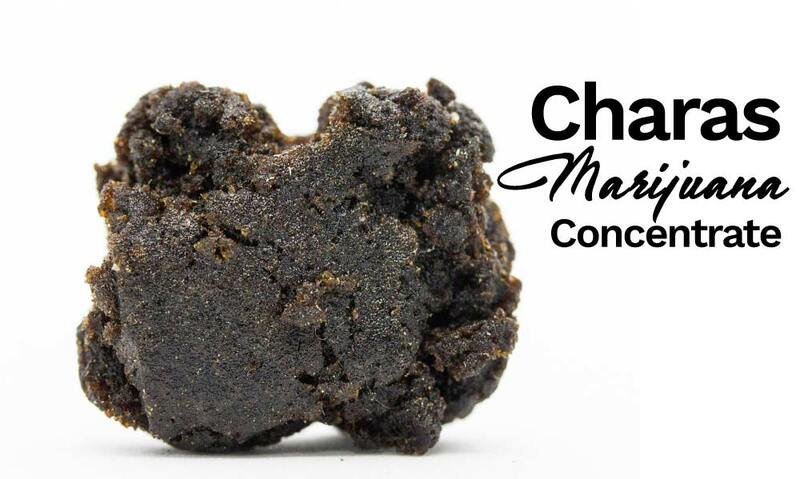 This is the terpene that gives off the earthy, musky flavors and smell of cannabis strains. Terpinolene is known as an antioxidant with high antibacterial properties. It can induce drowsiness. This terpene is also found in rosemary and sage, and it gives off the woody, smoky undertones that are present in some marijuana strains. Caryophyllene can be helpful in the treatment of depression and anxiety. It is also found in cloves and black pepper. When present in cannabis strains, this terpene’s aroma reminds of pepper and spices. Linalool possesses fantastic stress- and depression-relieving properties. It is said to be able to balance out the anxiety-invoking side effects of THC. Linalool is also found in coriander and lavender and gives off a particularly floral, spicy aroma to the cannabis strains where it is present. By learning to pay attention to the flavor and aroma of the buds, you can easily do your own research to find out which particular terpenes are present in the cannabis strain you are interested in. Now let’s take, for example, Linalool that is well-known for its relaxing properties. You can decode the presence of Linalool by the distinctly floral, spicy undertones. In a nutshell, a Sativa strain high in Linalool may actually end up acting much more like an Indica than a Sativa. Although the Sativa buds you are consuming can fit perfectly into the description of the physical appearance of Sativa strains, it is the active chemical compounds that really matter. “Terpenes seem to be major players in driving the sedating or energizing effects,” said Jeffrey Raber, the founder of the Werc Shop, in his interview for Leafly. Interestingly, it was all the way back in 2011 that the British Journal of Pharmacology published Ethan Russo’s research examining the so-called phytocannabinoid-terpenoid entourage effects. Discussing the existence of a cannabis synergy – or a deeply interconnected way in which the different cannabinoids and terpenoids interact to induce a unique effect – the effect that is attributed to a particular strain – is a solid proof of the complexity of marijuana plants and their properties. We need to understand that classifying marijuana strains under mainstream terms we have created in order to categorize the expected effects better “Sativa strains” and “Indica strains” is merely made for our own convenience. While in reality, things are much more complex than what meets the eye as the very first sight. The cannabis industry is still at the very beginning of a journey that is about to change the history of humanity. Even though much more research is needed to decode the secrets of marijuana plants and their multiple benefits and uses, we are all witnessing something amazing. Soon, rapidly developing technologies and science will merge to pave the path to the bright future of studying marijuana better than ever before. And indeed, stoners are coming out and myths are being busted. Sativa strains and Indica strains are here to stay as a well-known backbone of classifying the main types of marijuana varieties. But before we know it, we will start to understand better each cannabis strain for its sublime uniqueness and the secrets that make up. Just like a one-of-a-kind tiny Universe that is simply waiting to be discovered.